/ News / American-Style Luxury Cars Are Back, Baby! American-Style Luxury Cars Are Back, Baby! Okay, maybe not completely—but it's clear bold is once again the way to go. For decades, American-style luxury cars were decidedly déclassé, conjuring images of over-chromed, floaty boulevard cruisers that grandpa used to drive. Now that heft is hip again, at least one upscale brand in Detroit is starting to show signs of life heading into this week’s New York International Auto Show: Lincoln. Ford’s luxury brand is coming off a quarter in which deliveries of its lineup of SUVs—outfitted with gaping grilles in blinding chrome—surged 23 percent, registering its best first quarter in 18 years at a time when the rest of the industry was taking a hit. 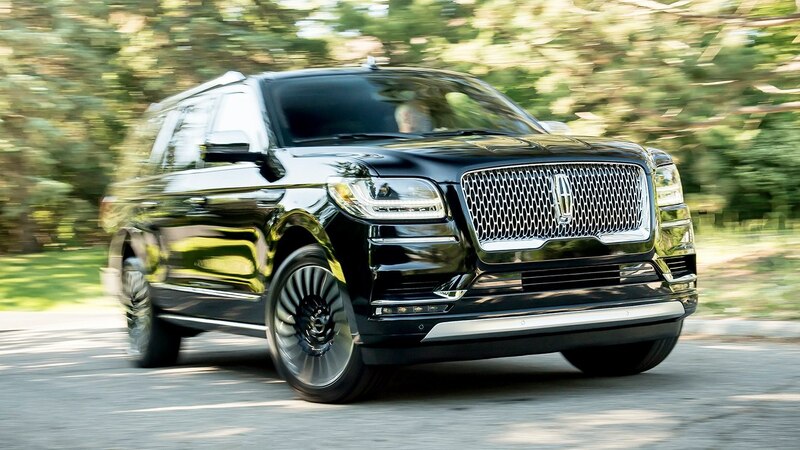 A much-needed redesign of the Lincoln Navigator sent sales of the model soaring 70 percent last year, and the brash behemoth commands prices that can top $100,000. Two more fresh Lincoln sport utility vehicles are due out later this year: The three-row Aviator arrives this summer, and the compact Corsair is being introduced at this week’s New York show. 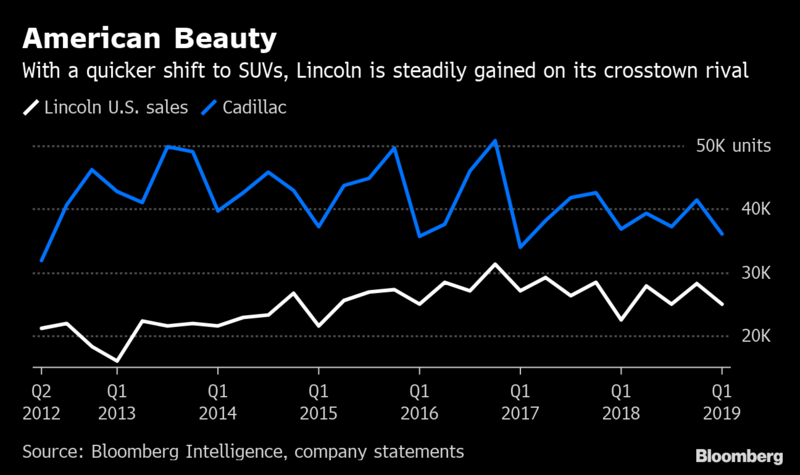 Lincoln’s success in embracing an attribute it had been running from for decades—its American heritage—has crosstown rival Cadillac taking notice. General Motors’ luxury brand had tried to take on Germany’s triumvirate of Mercedes-Benz, BMW, and Audi with pricey performance-oriented sedans. But despite cars that drove fantastically, that strategy has fallen flat, with few U.S. buyers willing to pay a premium for what may be perceived as faux Germanica. Detroit has spun its wheels since giving up leadership in the luxury market to the Germans in the 1990s. Teutonic envy prompted Ford to hire a BMW executive in the latter part of that decade to run its luxury lines, which he promptly moved to California. More recently, GM hired ex-Audi executive Johan de Nysschen five years ago to run Cadillac, which he ran from New York. Both executives ultimately left, with the brands returning to Detroit looking for identities that don’t try to outdo German engineering. “We’ve been down this road before, and if you keep doing the same thing over and over, you get the same result,” Joy Falotico, a veteran Ford executive and the head of Lincoln, said in an interview. “We knew we had to do something different.” The ascendancy of the SUV has given Detroit an opening, which Lincoln has moved fast to embrace. Engineers in Stuttgart may know sedans, but Motown in many ways pioneered behemoth luxury SUVs two decades ago with the original Navigator and Cadillac Escalade. Ford began its shift seven years ago, when it started work on a new strategy for Lincoln. It sought to simultaneously outrun its image as an airport shuttle car while still staying true to the best of its heritage embodied by the 1961 Continental, known as the Kennedy Lincoln because it was favored by the 35th president. With help from its operations in China—which it expects will eventually be Lincoln’s largest market—Ford came up with a makeover plan for vehicles with sumptuous styling paired with a smooth ride it called “quiet flight.” Rather than chasing the Germans’ boy-racer ethos, Lincoln aimed to revive the comfortable cruiser. “We wanted to provide a feeling of gliding versus competitors that might be looking for more dominant engineering and real masculine approaches,” Falotico said. The first execution of the strategy flopped on the revived Continental and MKZ, which never gained traction as the market for traditional sedans collapsed. But when writ large on the Navigator, the new brand language took off. The vehicle’s aesthetic is, roughly, that of a land yacht. Massive running boards electronically appear when a door is opened. Gears are selected by pushing large “piano key” shift buttons on the dashboard. And for the right price, Lincoln’s assembly workers will line the cabin in whitewashed teak. Cadillac’s latest attempt at rebirth seems to want to have it both ways. The SUVs, especially the Escalade, draw from the brand’s American roots. The tail fins that first sprouted on a ’48 Caddy have evolved into the slashing vertical taillights on the Escalade that form big, red parentheses-like shapes. But Cadillac’s sedans still take square aim at German rivals with taut, machined styling and a ready-for-the-racetrack driving capability. The CT5 sedan debuting at this week’s New York show targets BMW’s 3 Series and the Audi A4 and will be priced accordingly, said Ken Kornas, the car’s product manager. For Cadillac, years of struggle and attempted rebirth have made the whole concept of American luxury amorphous. Andrew Smith, the Australian native who is chief of Cadillac design, said the brand’s styling is youthful and confident, but he avoids describing it in nativist terms. “American luxury is a mix of different inputs from around the world,” Smith said. Cadillac’s new president, Steve Carlisle, who took over last year from de Nysschen, said in January that the brand’s comeback is still getting started. The XT4 small SUV went on sale last fall, while the three-row XT6 SUV is just going into production. 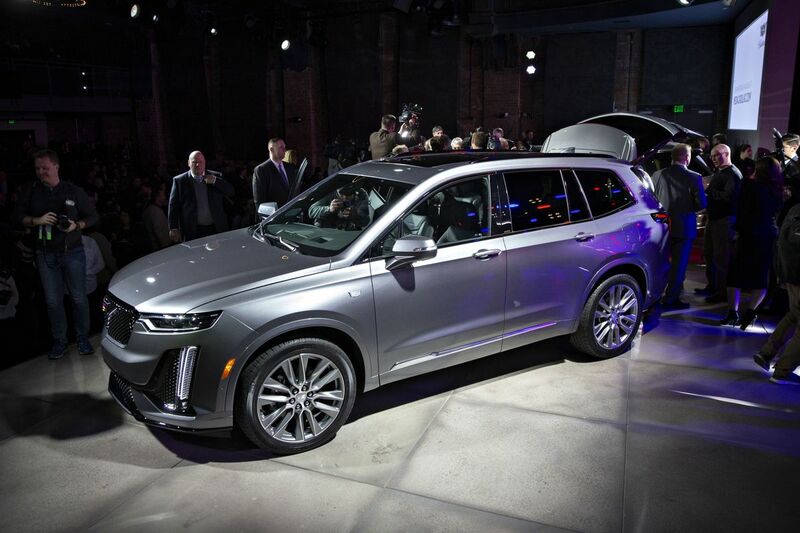 That has left Cadillac in the rare position of playing catch-up to Lincoln, which already added redesigned version of the MKX, the Nautilus mid-size SUV, to its lineup, one of four new or redesigned utilities in the last two years. 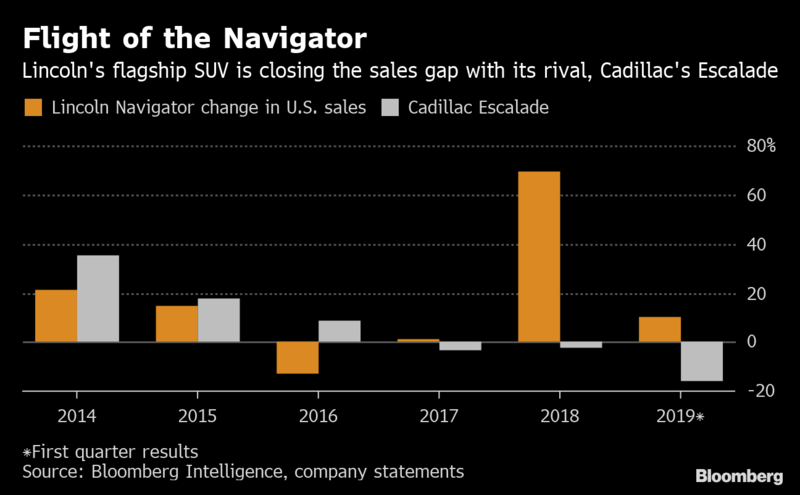 That helps explain why Cadillac sales fell 2 percent in the first quarter, while the Lincoln brand rose by double digits despite the collapse in Continental sales. Okay, maybe not completely—but it’s clear bold is once again the way to go.